01.09.2016. nib Stadium, Perth, Australia. World Cup Football Qualifier. Australia versus Iraq. 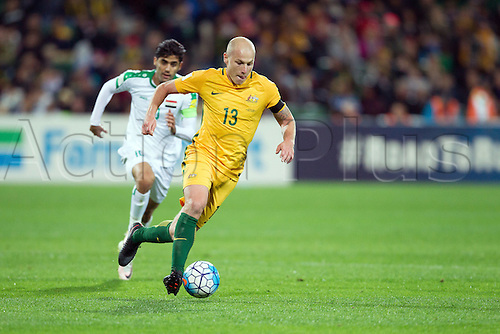 Australia's Aaron Mooy controls the ball through the middle during Australia's win over Iraq 2-0.